You won’t want to miss this… We are gaining momentum and want your input! The Oregon City Together coalition is dedicated to supporting positive community practices that reduce youth substance abuse. The December 5th Open House is an introduction to our work and an invitation to be a part of it. We will have slides and displays for you to look over, the chance to weigh in with your ideas, and you can meet some of the people who have been laying the groundwork to bring us this far. Program begins around 5:00 and includes the *world premiere* of the Positive Media Youth Team videos! Come learn about Oregon City’s opportunities for a healthy & drug-free future. 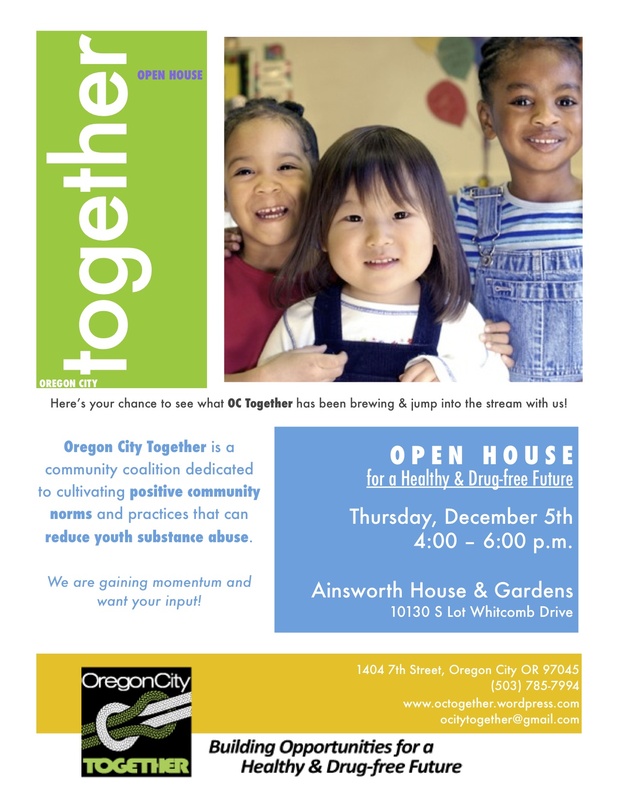 *This event is generously supported by Ainsworth House and Haggen Northwest Fresh.